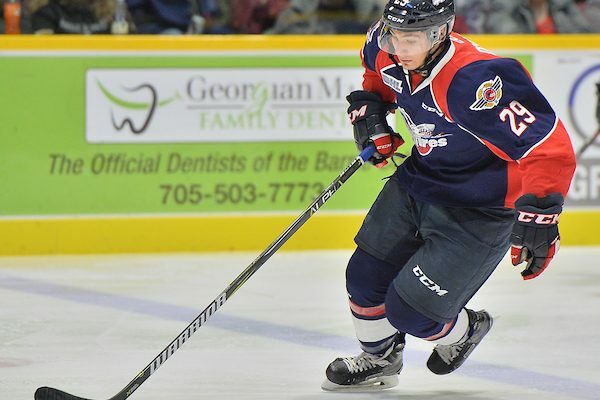 The Windsor Spitfires dropped a 5-4 overtime decision to the Sarnia Sting on Thursday. The Sting were first on the board with the only goal of the first period, but Daniel D’Amico scored to back to back goals in the second to give Windsor a 2-1 advantage. Sarnia responded by scoring another two of their own to retake the lead heading into the third. Will Cuylle tied the game for Windsor early in the third, but Sarnia again answered with a goal in the second half of the period. Cuylle scored his second of the night with less than three minutes left in the period to tie the game and force OT. The Sting scored the game-winning goal 4:18 into extra time. Windsor goaltender Kari Piiroinen made 37 saves out of 42 shots on net. The Spitfires will look to bounce back when the two teams head to Sarnia on Friday. The puck drops at 7:05 p.m.